Smart fleet managers look for every conceivable way to cut the weight of their equipment without cutting performance, reliability or durability. They know that every pound saved can give them a competitive advantage down the road. Fontaine offers the new lighter 6000 Series top plate with lightweight mounting options to help in this weight saving effort. Although the new 6000 series fifth wheel is designed to handle standard and moderate duty appli­cations, its light weight makes it the ideal choice for weight conscious customers. The proven design is made possible by Finite Element Analysis technology and strategic placement of high strength alloy steel. 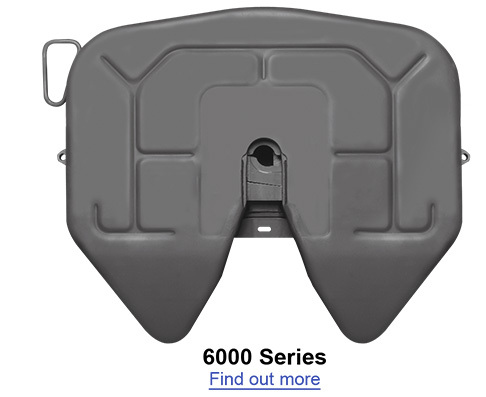 The 6000 Series No-Slack® fifth wheel combined with the NWB mounting bracket is about 60 lbs lighter than previous designs with no reduction in load ratings. The lock automatically adjusts to accommodate for wear so you can switch from trailer to trailer without making lock adjustments. This is important because a properly adjusted lock reduces shock inputs to the frame when braking and accelerating. Reducing shock improves driver comfort and extends the service life of components. The locking trigger design helps minimize high-hitching to reduce accidental tractor, trailer and tire damage. Only 30 pounds of force is required to activate the lock to make coupling smoother and easier. The pull handle is the easiest in the industry and only requires a simple, straight pull to release the lock (no complicated sequence to remember). An optional air actuation with in-cab air release operates only when parking brake is engaged to help prevent human error. WEIGHT SAVING HIGHWAY ASSEMBLIES. True, the top plate is the key component for fifth wheel to trailer coupling, but the foundation of the top plate is also a very important consideration. 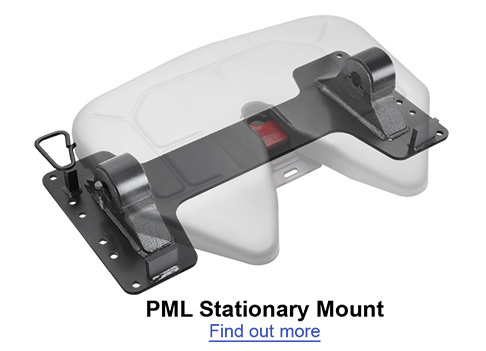 For weight-saving applications Fontaine offers a choice of sliding and stationary mounting brackets. Your Fontaine representative can help you select the right fifth wheel assembly for your specific application. SLIDING MOUNTS. 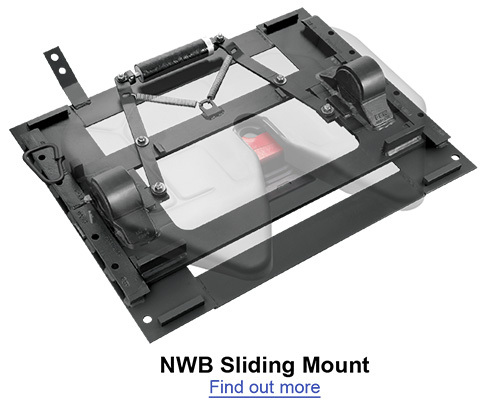 A sliding mount allows you to "slide" the location of the top plate on the slide rails of the mounting bracket. This lets you transfer the load between the tractor axles, allows you to handle trailers with different kingpin settings, and gives you added flexibility to vary the total length of the tractor/trailer. In addition, a sliding mount makes equipment more maneuverable, accommodates trailers with short landing gear clearance and allows the driver to extend the unit for maximum comfort when weight permits. Fontaine offers the NWB Sliding Mount for highway applications, and it is available in a wide selection of heights and slide lengths to match your equipment. Check out the links by each photo for more information or contact your Fontaine representative for professional advice to help you find the best weight saving solution for your application.